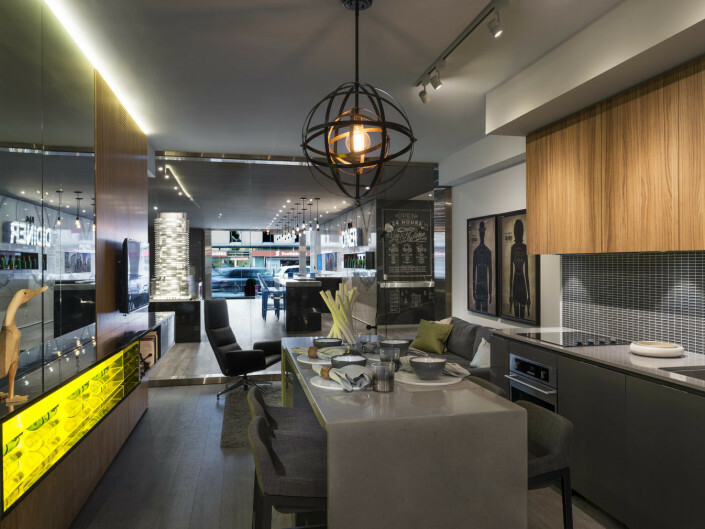 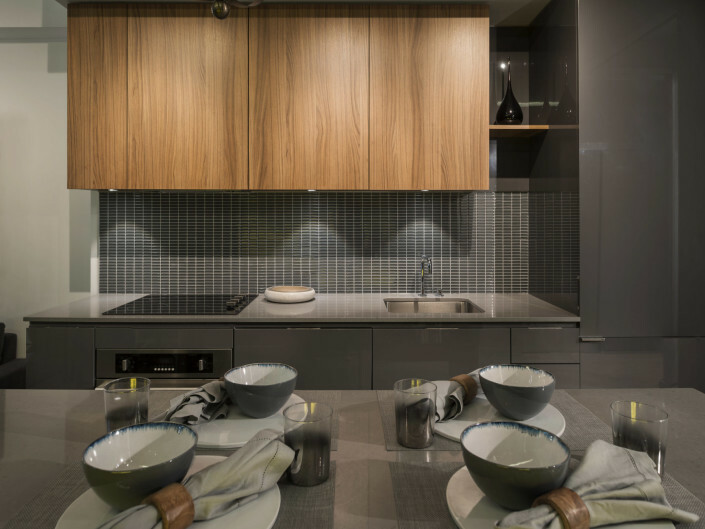 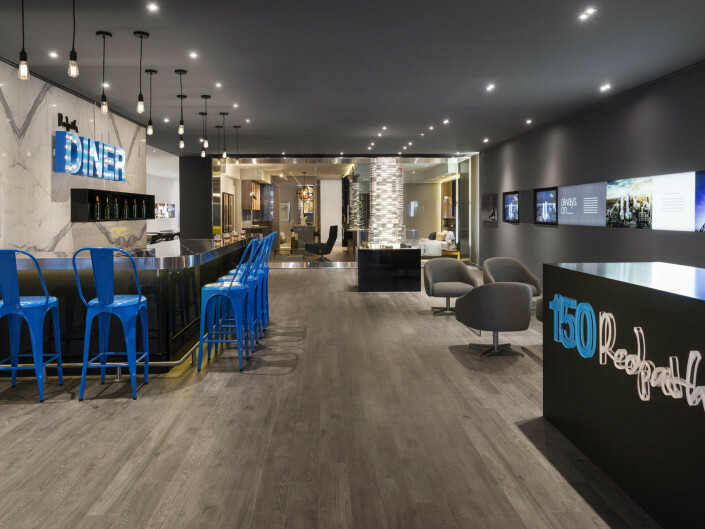 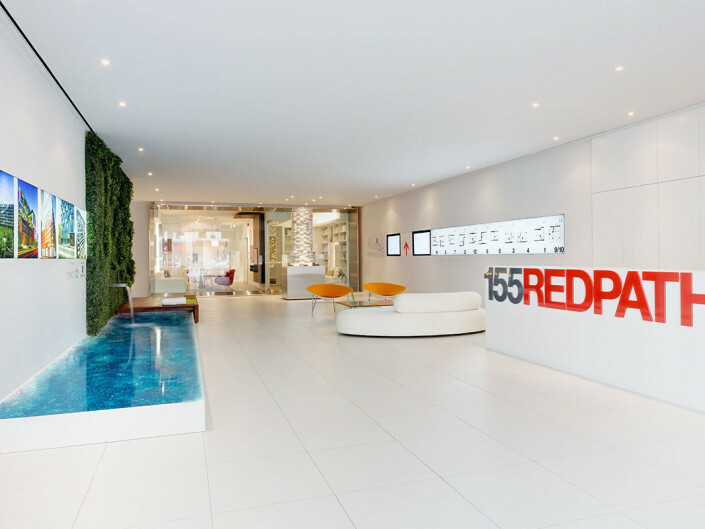 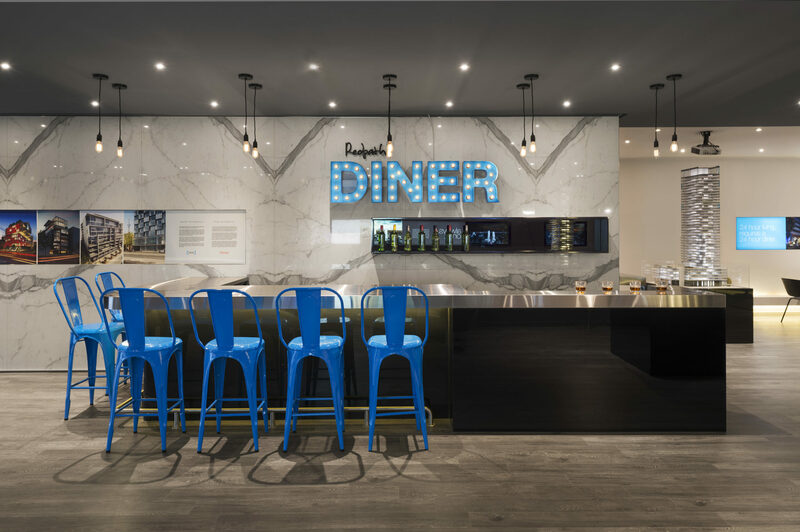 150 Redpath is a sales centre for a condominium development located at the southwest corner of Redpath and Roehampton Avenues in the newly reimagined Yonge and Eglinton neighbourhood – envisioned as a sanctuary of comfort and indulgence for the young, urbane professional. 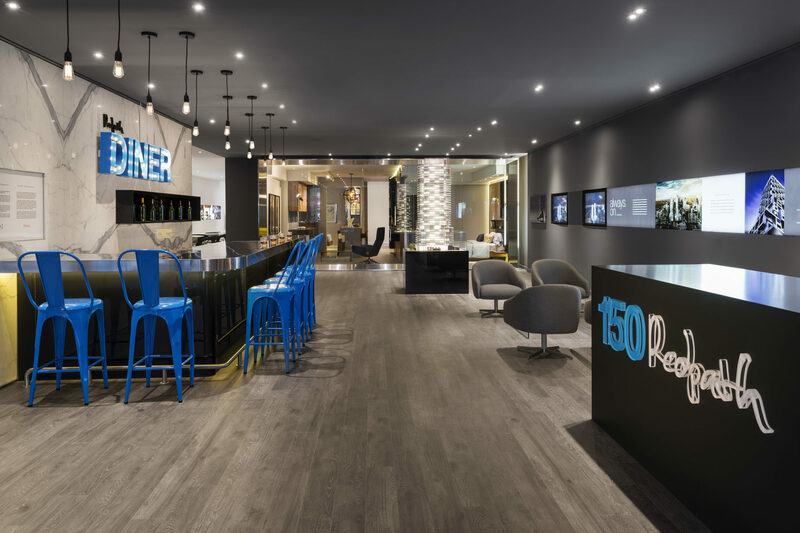 A dichotomy containing a 24 hour bar catering to the busy and social lifestyle of the residents, it is also intended to be a place of refuge from stressful surroundings – a haven for rejuvenation through relaxation and play. 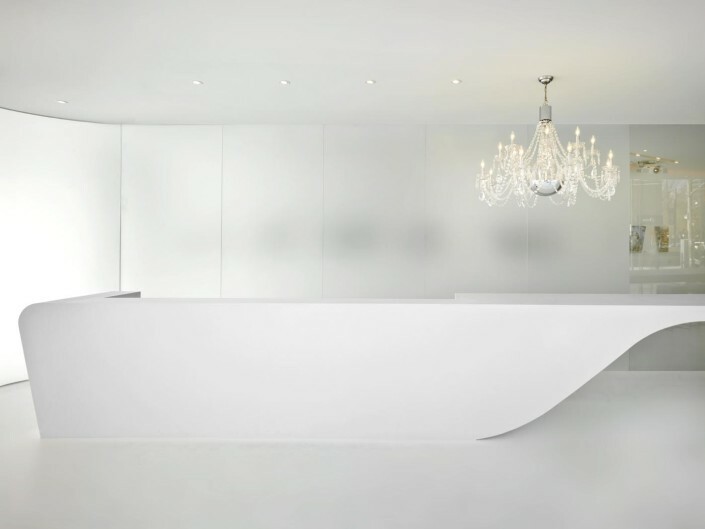 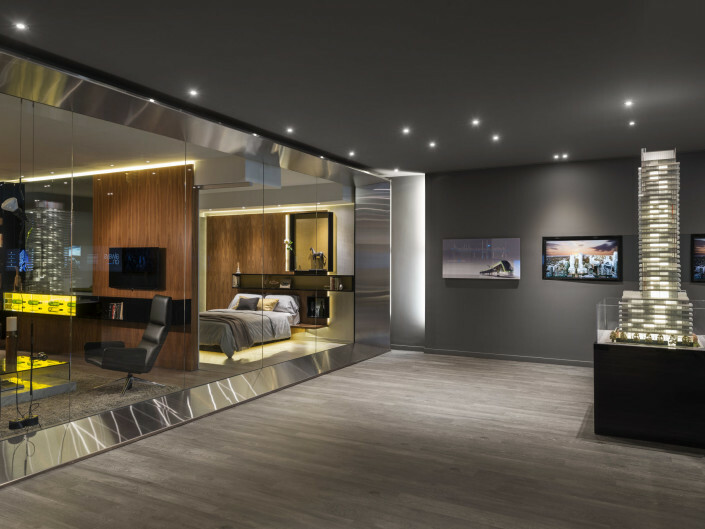 Evoking the notion of the “sanctuary”, the model suite (650 SF) is designed, through its materiality and customization, to inspire permanence, memory, functionality and the familiar. 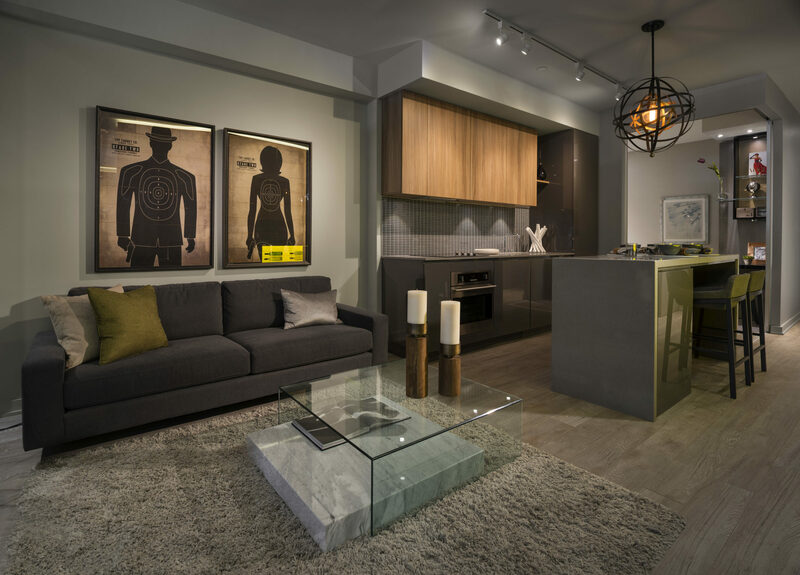 The concept of the model suite is to envision a “lifestyle of collection” – despite the suite’s compact dimensions – facilitated by custom millwork details to hold wine, books, artifacts, photographs and workspaces. 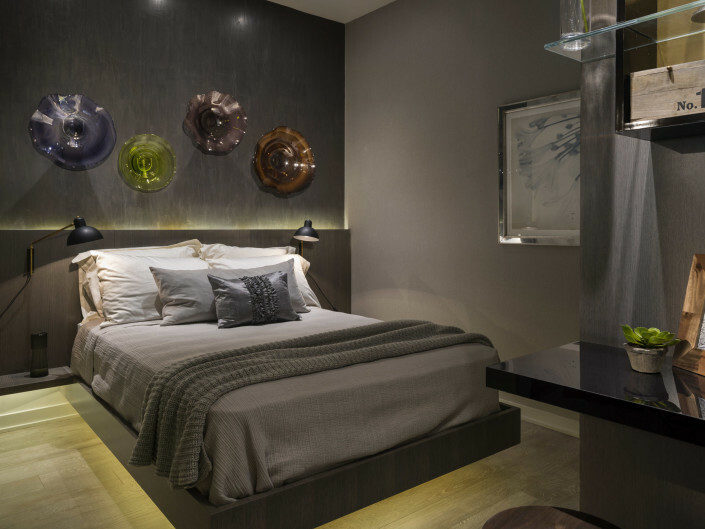 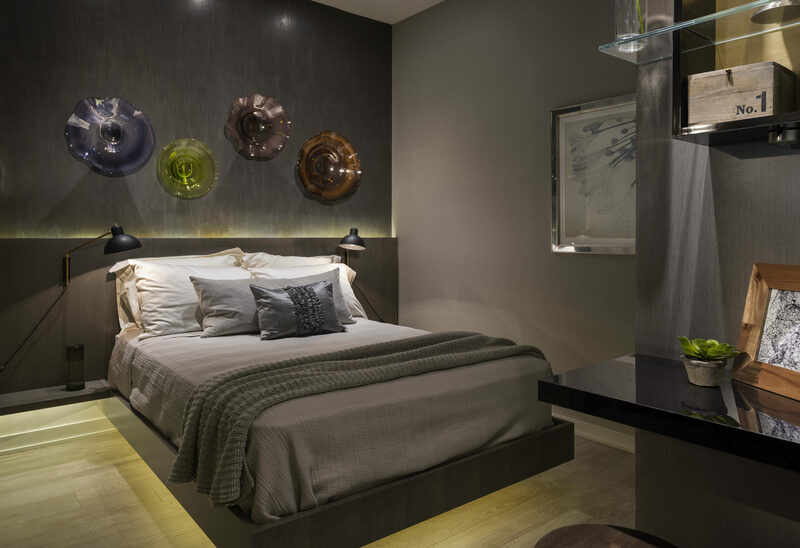 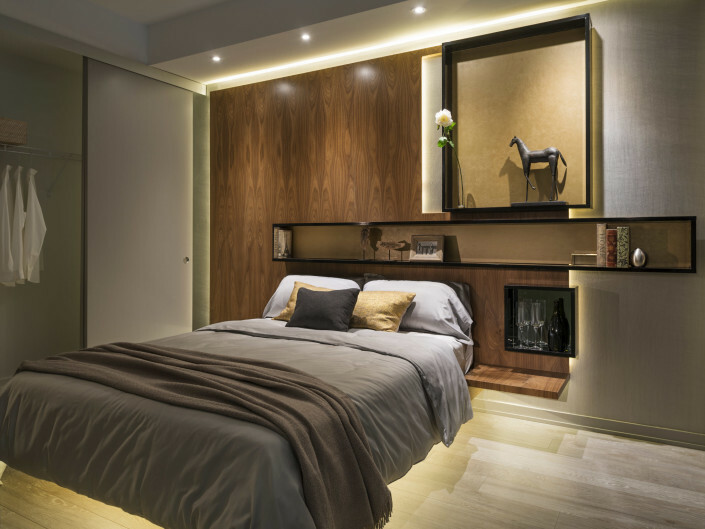 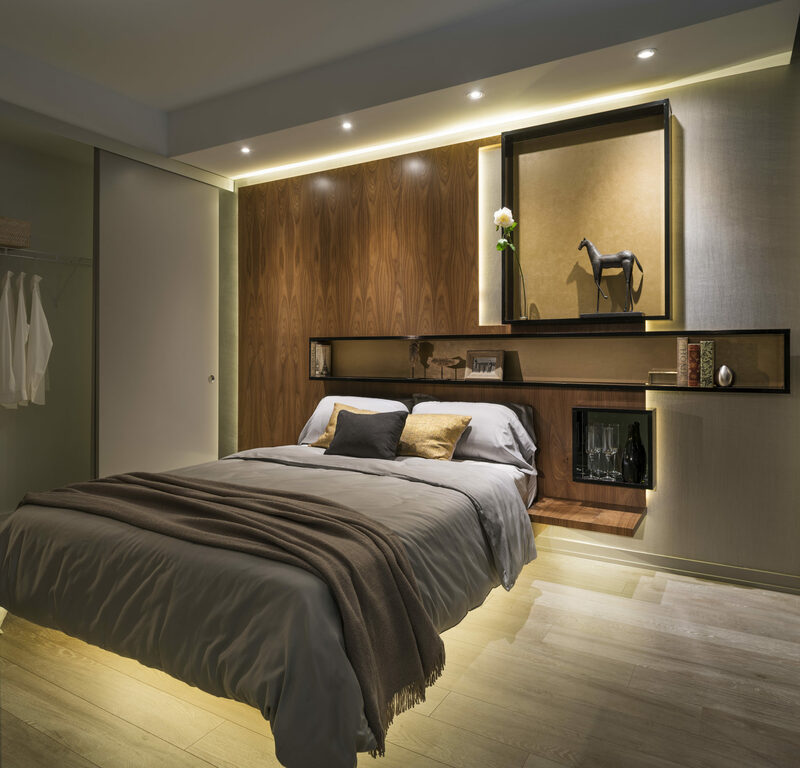 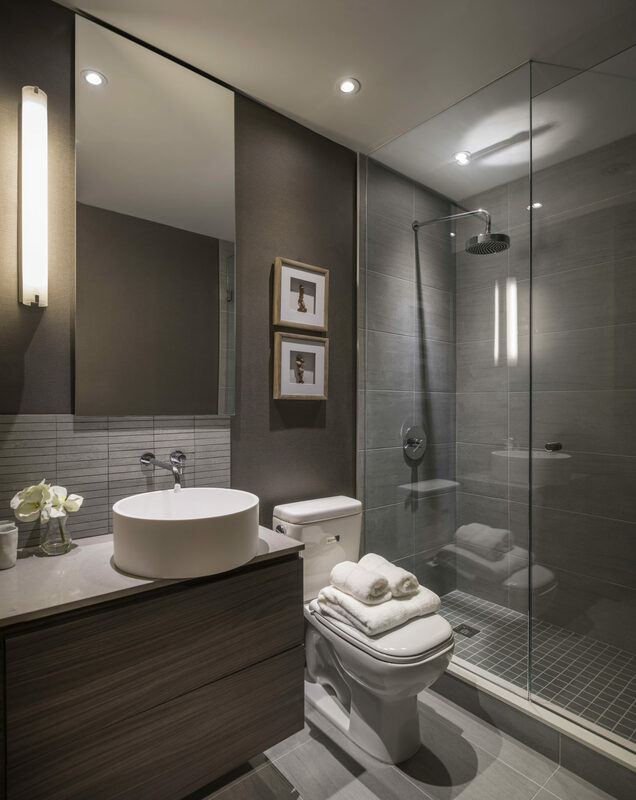 The suite is enveloped in rich, luxurious textures and warm, earthly tones supporting the notion of an elegant retreat for the 24 hour lifestyle. 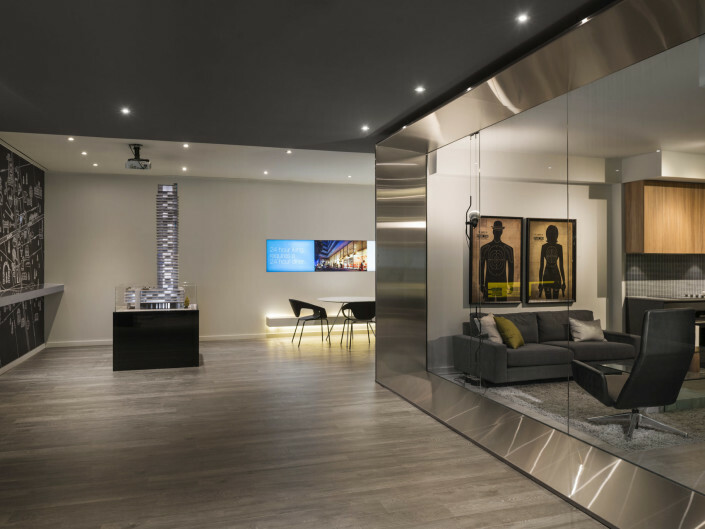 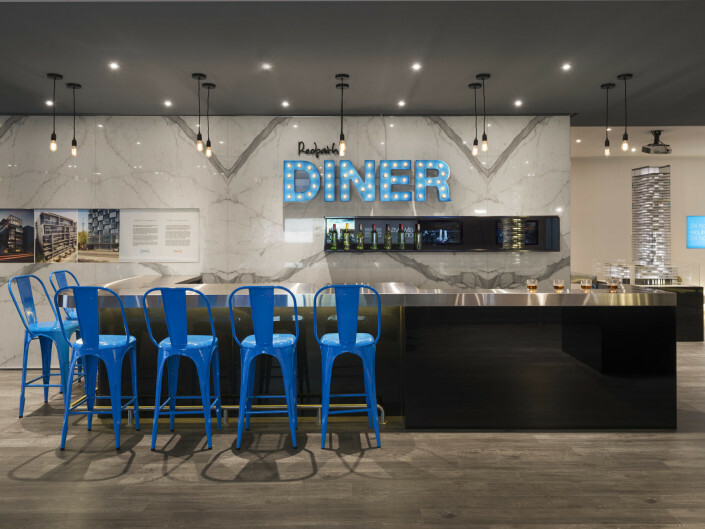 Viewed from the entrance, a reception area and simulated “24 hour” bar, suggesting the concept of the development define the reception area and lounge. 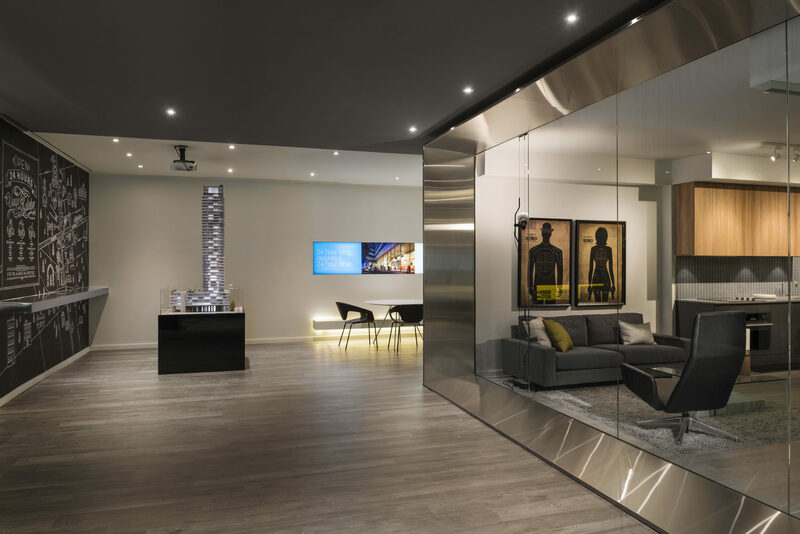 One’s view is then focused towards a stainless steel “frame” forming a backdrop to the illuminated building model and the model suite beyond. 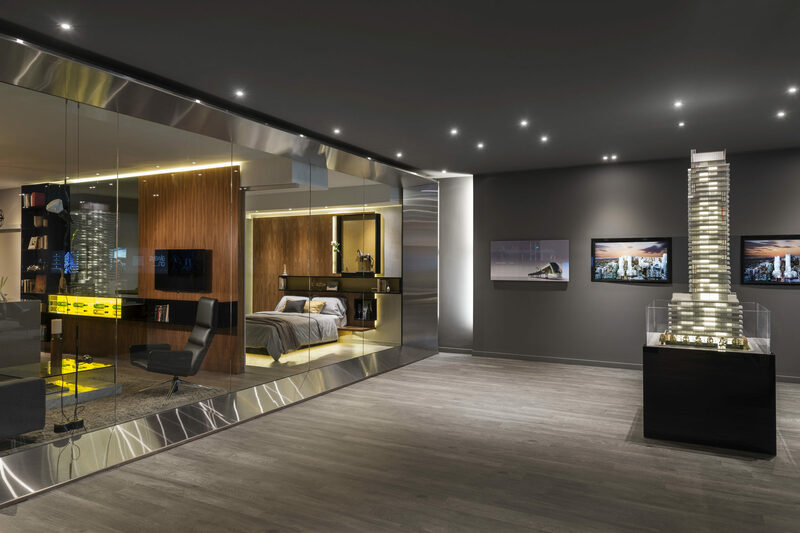 Rather than entering directly into the model suite, a carefully defined route leads one past the building models, into an anteroom featuring back-lit images of the development, material sample boards and the closing area, and then into the model suite proper. 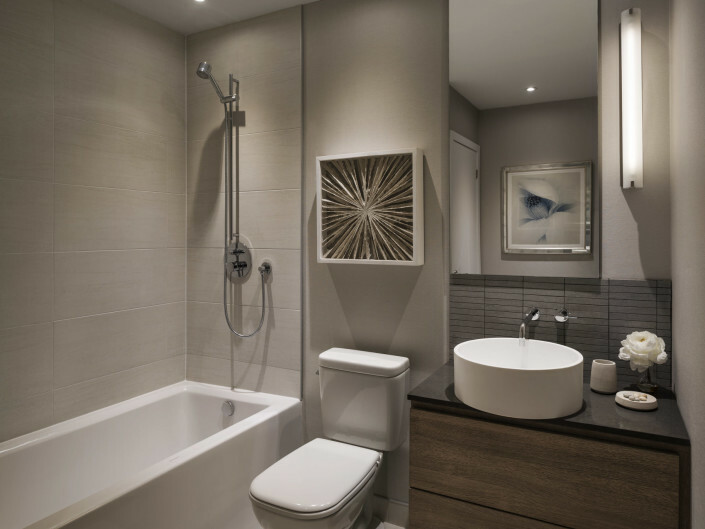 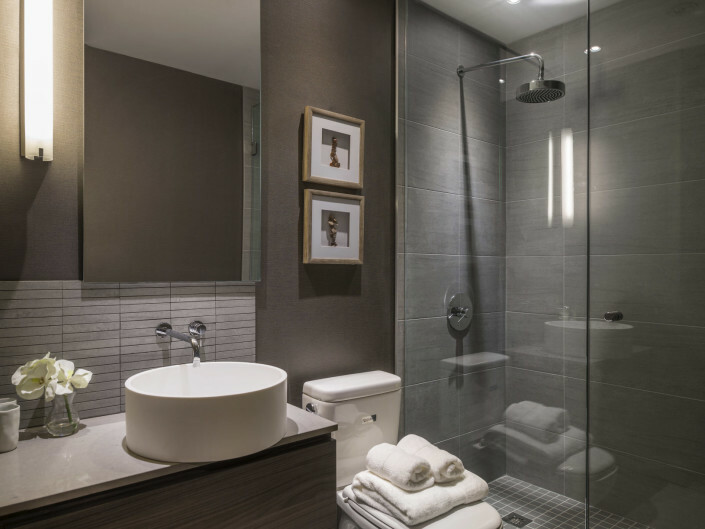 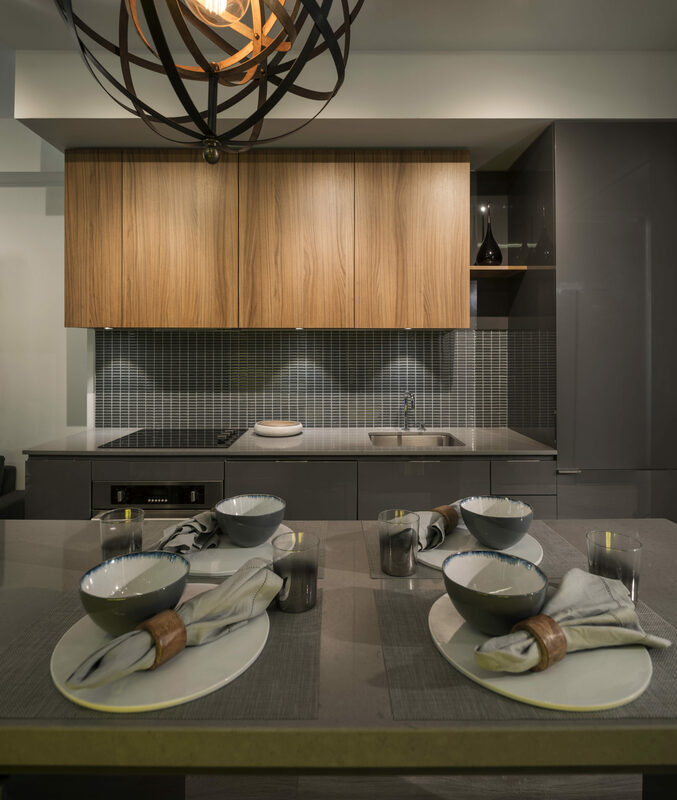 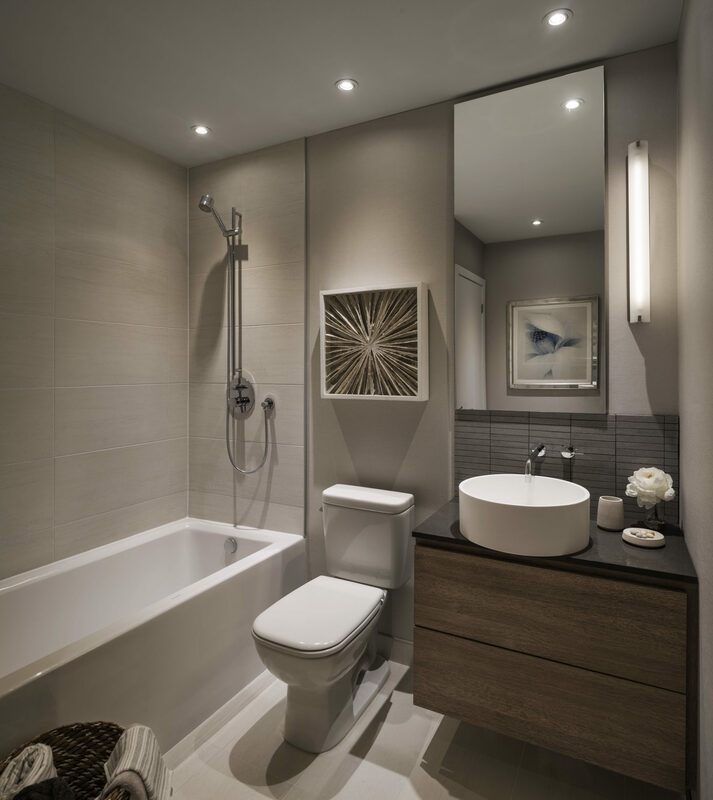 Designed to foster a sense of the urbane and luxury, the space contains custom millwork details and lush material palettes of warm, earthy, neutral tones that evoke the familiar and inspire the deep, subconscious notions of memory, warmth, comfort and rejuvenation.